Since we’re fascinated by language as much as we’re enamored of the visual arts, we can’t help but notice the things that influence language. And we take particular interest in technology because its influences seem to fall somewhere on a scale between counterintuitive and downright perverse. Us: How are things going? Him: I’m working on getting more leads in the funnel. Us: Uh huh. Then what happens? Him: Then I can get them into the pipeline. Him: Right. That’ll allow me to get a few more prospects in the hopper. Us: Do separate people manage the funnel, the pipeline, and the hopper? Us: Never mind. When does the selling start? Us: You know. The part where you actually sell stuff to people. Him: I have to go now. Him: I need to update my database. We’re not sales guys. So, we don’t know if our buddy is on the right track or not. But we have the nagging feeling that if his job is to be selling — anything to anyone — and he spends more time with software than he does with people, he might be in the wrong line of work. We also strongly suspect that unless their software is buying from his software, he might be better off pressing the flesh than pressing keys on his computer. But what do we know? 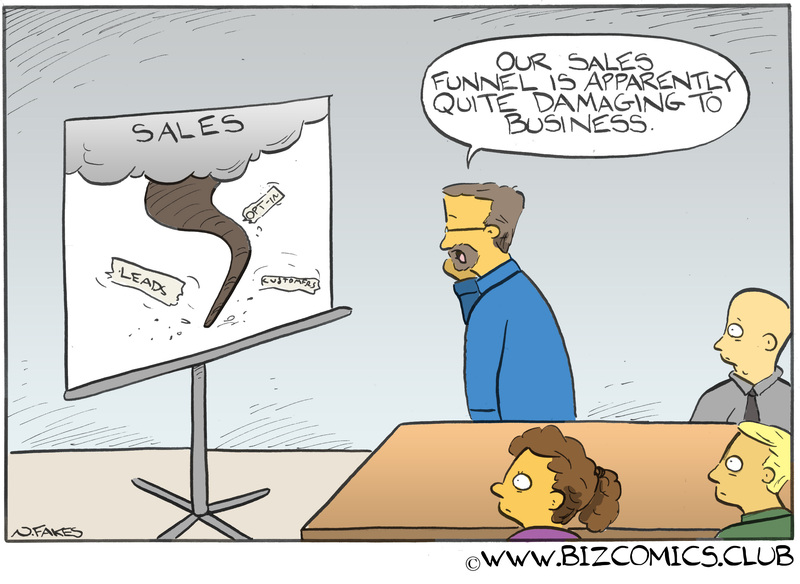 That’s probably why we’re not in sales. We’re just comic characters with funny faces, a hunch, and what we take to be a smattering of common sense. Even so, we offer this humble admonition: Beware of marketing technology, lest you create a perfect storm of carelessness. Copyright © 2017 BizComics. All Rights Reserved. 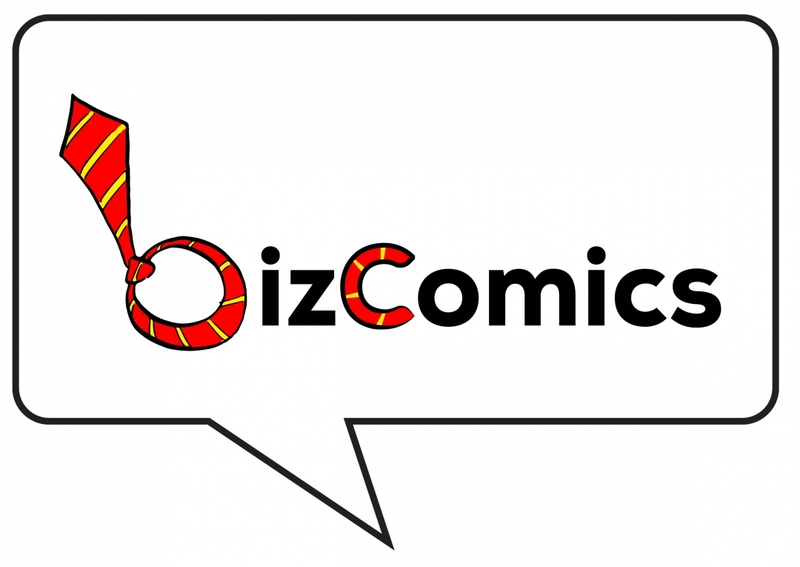 Join our mailing list to receive the latest news and updates from BizComics.